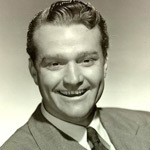 The Red Skelton Show was a comedy series broadcast from 1939 to 1953. After his 1937 appearances on The Rudy Vallee Show, Red Skelton became a regular on NBC's Avalon Time, sponsored by Avalon Cigarettes. On October 7, 1941, Skelton premiered his own radio show, The Raleigh Cigarette Program, developing comedy routines involving a number of recurring characters, including punch-drunk boxer Cauliflower McPugg, inebriated Willie Lump-Lump and "mean widdle kid" Junior, whose favorite phrase ("I dood it!") became part of the American lexicon.